Fake accounts are everywhere on Instagram, but it’s when they become followers they are harmful. Those who say that it is good to buy fake followers haven’t read why you shouldn’t buy fake followers on Instagram. Fake Instagram followers/accounts are accounts that have been created using fictitious email addresses, most often by companies who are creating fake accounts and then selling them to real Instagrammers who want to fake their popularity. 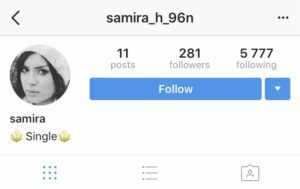 Buying fake followers have become something “natural” for many people, however, it is extremely harmful to your Instagram. At least if you’re serious about it. If you’re a brand that’s working with influencers, you’re probably looking at things like followers, likes per post and comments etc. in order to assess the ROI of the influencer marketing campaign. In fact, you’re probably also using those social indications when you choose the influencer. If the influencer has bought fake followers, the campaign will not be able to achieve the results that the brand was hoping for, and might result in the brand concluding that influencer marketing wasn’t for them, when the reality was that the campaign could have performed tremendous results if all of those followers were actually real. Fake followers are not only harmful to brands, though. Let’s say that two influencers are fighting for a brand sponsorship and the first account works every day to try to learn everything about how to grow the account and evolve. On the other side, there’s the second person who buys followers because of lack of patience and wanting to take the shortcut. Yet, the last mentioned person gets the sponsor contract because this person had more followers and the marketer wasn’t experienced enough of taking things like engagement into consideration when picking an influencer. The conclusion is that fake followers make people battle on different terms. Well, Instagram does everything in their powers to find and shut down fake accounts and services that provide fake followers, bots, and automated services. They have also created advanced algorithms to get fake accounts and bots removed as quickly as possible. Massplanner being one of them. While it’s highly likely that Instagram never will be able to completely eliminate these spam-bot accounts or prevent fake Instagram followers from inflating the reach and popularity of Instagrammers and influencers. It is clear that they do everything they can to keep their community free from it. In the dawn of Instagram, the fake accounts were instantly recognizable from a mile away, but as Instagram has become better at detecting the fake accounts, so have the fake accounts disguising themselves. Apart from Instagram’s own hard work with removing fake followers, there are quite a few tricks you can use to identify and remove them yourself. 1. First of all, most of the fake Instagram have no profile photo. And if they do, it’s often a picture of a cute boy or a girl. Or a girl In a bikini. 2. It is also very common that fake accounts have posted less than 10 photos or videos to their account, but in the example, above we can see that this bot hasn’t posted a single picture. 3. Fake Followers often have a skewed follower-to-following ratio, meaning that they might follow 7K people while having just a few hundred followers themselves. The reason for this is because these fake accounts are created by services who sell fake followers, and then when someone buys followers, they create fake accounts to follow them with. 4. Generally, fake followers don’t last that long from the time they are created to when they get banned. This means that as quickly as they have created an account, they must do everything they can to make it look genuine (even though a lot of the fake accounts looks like someone didn’t put a lot of effort into them). This means that you can take a look at the photos the fake account have posted and see what time they shared their first post and then see when they shared their last post. If it was only a few days, or even hours or minutes, there’s something fishy about it. That combined with the followers and likes is almost a confirmation of a fake account. 5. It is common that fake accounts post all content on their page on the same day, and if that is the case, you’ll have an even easier time spotting the fakes. 6. 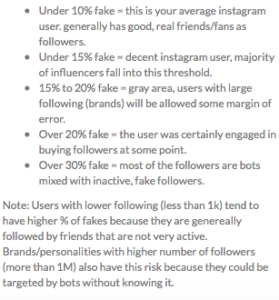 While authentic Instagram accounts usually have a 1:1 follower-to-following ratio, fake accounts/followers have an average follower-to-following of 41. So for each follower they have, they follow 42 accounts. 7. Take a look at the content they are posting. Normally, fake accounts share completely random pictures with an odd or non-existing caption. Sometimes, fake followers can also post professional photos, but it will still be clear that they haven’t taken those. 1. A fake Instagram account often has a very low engagement rate, which is followers vs average likes on their posts. However, before you start accusing accounts with a low engagement of fake followers, know that people that people that never in their life have bought fake followers still can have a low engagement, which might depend on other factors. For example not being active for a long period of time or simply have been Instagram for so long that most of the people who are following them have created newer fresh accounts. 2. Take a look at their comments. If they have a lot of followers but don’t receive any comments, that’s a bad sign. If they do receive comments, you want to study them closely to see what they are all about. Sometimes those who buy fake followers also buy fake comments to help increase their engagement. 3. Often, fake comments are generally friendly phrases such as “nice pic” or “I love your account” and sometimes even just a simple emoji. 4. Fake comments are often very easy to spot because most often, they don’t have anything to do with the post itself. Even better, sometimes, the comments that are left are completely irrelevant and placed in the wrong context because the fake accounts are leaving comments everywhere, which in these cases makes it extremely easy to spot them. 5. One of the most efficient ways to spot if an Instagram account has bought followers is to go through the people who are following that account. Now that you have learned how to identify fake accounts in the steps below, you can easily go through their list of followers and see what types of accounts are following. If you see a bunch of accounts with the indications above and that doesn’t have a profile picture or just a few pictures in their feed, it is quite clear that they buy fake followers. However, it’s important that you have in mind that just because they have one or two fake followers doesn’t mean that they have actually bought them. Because fake accounts are going crazy and following everyone they can, ending up as followers of completely hones Instagram accounts. But it is when you see that the majority of their followers are fake that you should become suspicious. 6. If you don’t want to go through all of that trouble, luckily, there are a few website tools that can help you identify the number of fake followers an account has. However, we warn you that you probably have some fake followers following your account, because nowadays, they’re almost everywhere. The most popular method to check fake followers on Instagram is to use tools and services that scan your profile for fake followers and then present you with a result. In other words, a fake Instagram followers audit tool. 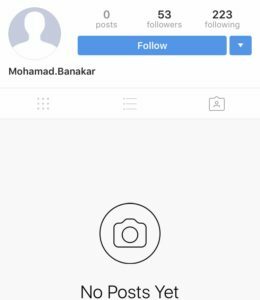 Over the years, there have been several Instagram fake follower checkers, but now, only a few seem to remain. Whether that is because Instagram has taken them down, or because they’ve gone out of business, I leave untold. A tool that allows you to do fake followers check on Instagram that is still up and running is Fameaudit. Note that I am not vouching for this fake Instagram followers checker tool. 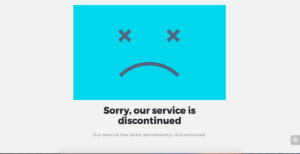 Instead, I recommend you to be highly careful with any type of service that you log in through. Instagram also warms you to connect your Instagram account with any third-party tools. What should brands do instead when looking for influencers? To avoid partnering with influencers who have built their account on fake followers, it’s important that you know how to approach the influencer and choose them. A good start for brands is to monitor (at least) the latest 10 posts the influencer has shared and carefully look into things like comments, what type of comments they receive, likes etc. After that, compare their follower count with their average like rate. Accounts with an engagement rate of below 1% most certainly have fake followers or at least very inactive followers. No matter the case, those are not influencers you want to work with. Preferably, you should work with influencers who have at least a few percent in engagement rate. Sometimes, influencers can have up to 20 or even more percent engagement but that is very uncommon. These findings raise pressing questions for marketers, chief among them: Are my Instagram marketing efforts reaching real customers or spam-bots, and how can I differentiate between fake followers on Instagram and real ones? As Instagram’s massive platform of over 700 million active users is growing, it makes the platform a great place for brands to use influencer marketing, and create sponsor contracts with influential people on the platform. However, returning to the issue. Because the competition among the influencers is growing, and influencers want to become big quick without actually doing the work (at least the perception is that they are big, while the reality is completely different) it makes them reach for the best quick-fix they have which is buying fake followers. By buying fake followers, “influencers” can artificially inflate their popularity on the surface and make it look like they have a huge influence. A recent study found that 8% of Instagram accounts are fake, while at the same time, 30% are inactive. That’s quite a lot of accounts so there’s no doubt why some people have a low engagement. Hearing this can, of course, make you wonder if your influencers ( if you are working with them) are fake and have successfully tricked you. You might just become a bit intimidated what you’ve just read and want to learn how you can differentiate the fake “spam-bots” from the real deal. And hopefully, that’s exactly what you’ve learned in this article. If you still think finding influencers and then identify whether they are fake or not is a difficult task, you can use Veloce Network Influencer Directory. There, we have gathered thousands of the industry-leading influencers that you can filter based on your preferred criteria. The best part is that all influencers are carefully hand-picked by us which means that we have denied a lot of influencers with fake followers.